This page shows the latest BI 655066 news and features for those working in and with pharma, biotech and healthcare. AZ) MEDI2070 candidate, tildrakizumab from Sun Pharma (formerly MSD) and Boehringer Ingelheim/AbbVie's BI 655066, all of which are still in clinical trials. Other selective IL-23 blockers coming through the pipeline include Janssen's guselkumab, tildrakizumab from Sun Pharma (formerly MSD) and Boehringer Ingelheim/ AbbVie's BI 655066.
blocker brodalumab and Boehringer Ingelheim's BI 655066, which targets IL-23 only. high level of PASI 90 response and also that the benefits of therapy with BI 655066 seemed to extend beyond 12 weeks. ... That means BI 655066 is likely to find the going tough by the time it is ready for market. Acquisition - company. $600. Boehringer Ingelheim/ AbbVie. 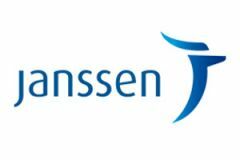 BI-655066: anti-IL-23 MAb in Phase III for psoriasis and other autoimmune disorders; and BI-655064: anti-CD-40 MAb in Phase I.